Canvas X's unique and integrated design environment makes it possible to work with and combine all graphical elements and apply high end effects to each in a single document. 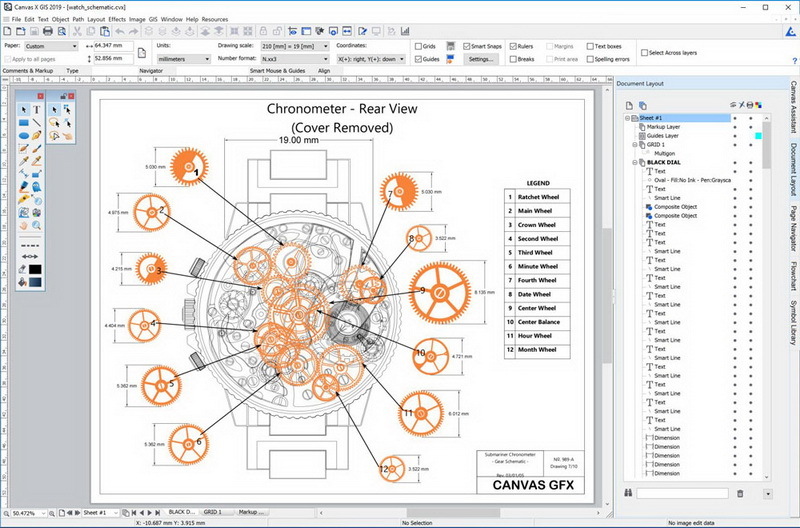 Thanks to the ability to work with both vector graphics and raster images with the same powerful enhancement tools, Canvas X users are able to create professional-looking outputs while preserving complete editing control of all graphical data. Experience complete flexibility while working dynamically with vector objects. Canvas Xs adaptable Sprite technology can be used to apply image and transparency effects without rendering, allowing you to continue to edit your graphics at any time. Do more with specialized technologies, such as gradient transparency tools, vector masks, opacity effects, channel masks, and much more.